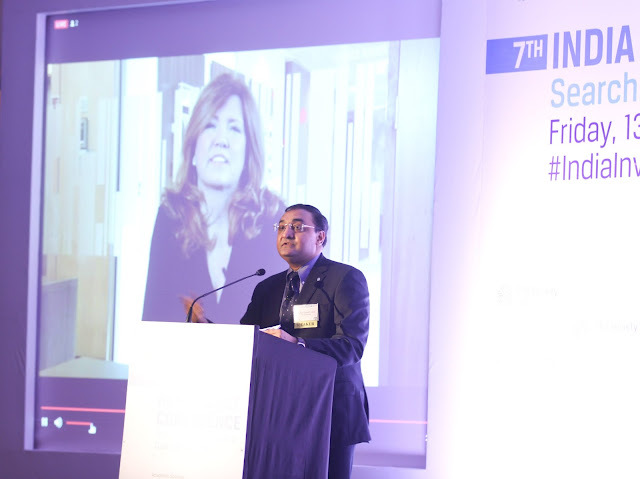 Bangalore, 18 January 2017: CFA Society India hosted the 7th India Investment Conference on 13 January, 2017 at the Taj Lands End, Mumbai. The theme for this year’s conference was ‘Searching for Alpha in a Divergent World’. Nearly 500 investment management professionals attended the conference, which focussed on the challenges faced by the Indian investment management industry. “India’s GDP growth to remain strong. Expect strong GDP numbers for India in the next 15-20 years,” said Sunil Singhania, CFA, CIO – Equity Investments, Reliance Nippon Life Asset Management Ltd., who was part of an insightful panel discussion on asset allocation. Captions: Pic 1 - Jayesh Gandhi, CFA, President, CFA Society India (volunteer) and Senior Portfolio Manager, Birla Sun Life Asset Management Company, moderates the session on ‘Generating Alpha by Managing Unquantifiable Risks: Politics, Policy, and Geopolitics’ by Dr. Philippa Malmgren, special advisor to former US president George W. Bush, and Chairman, DRPM Group at CFA Society India’s 7th India Investment Conference in Mumbai last week. 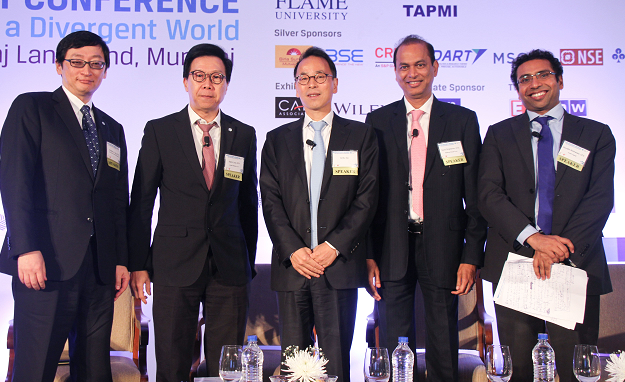 Pic 2 - From left to right: Charles Yang, CFA, of Tokio Marine AM, Dr. Aaron Low, CFA, of Lumen Advisors, Dr. Andy Xie, independent economist, and Sunil Singhania, CFA, of Reliance MF, participated in a panel discussion on ‘Asia Growth Outlook and Asset Allocation’ moderated by Ambit’s Saurabh Mukherjea, CFA, at CFA Society India’s 7th India Investment Conference in Mumbai last week.